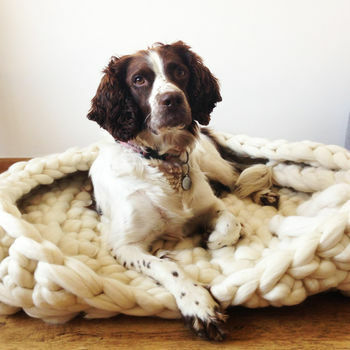 Introducing our super luxury knitted dog bed in 100% pure merino wool. Our dog bed is super comfy and stylish. Your dog will love how cosy it feels and feel like a pampered pooch! 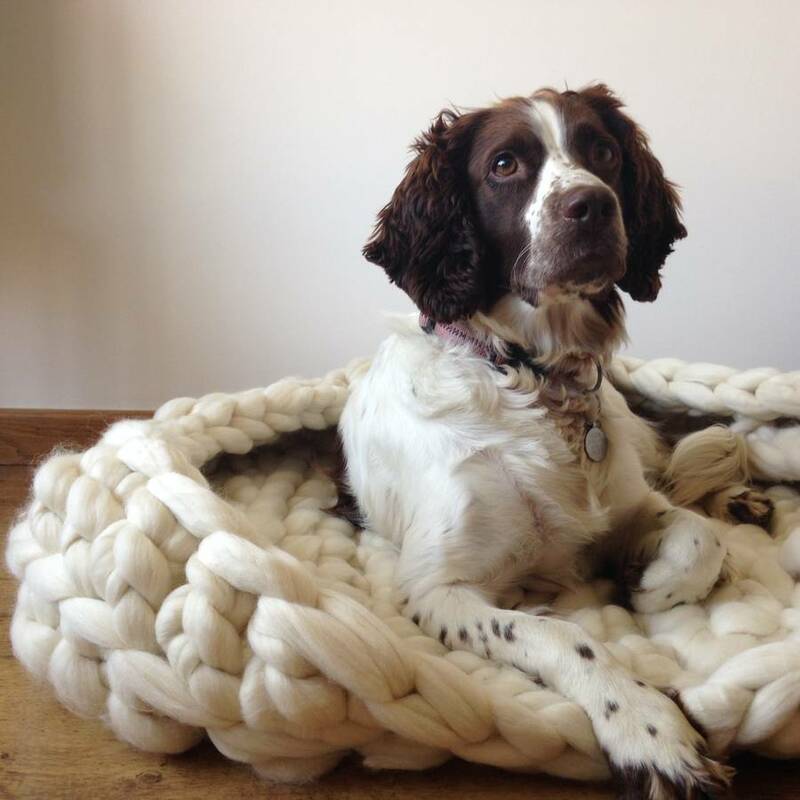 Not only are our dog beds functional, they will also fit in with the decor of your home and can be made in a range of colours. This is a luxury made to order item. 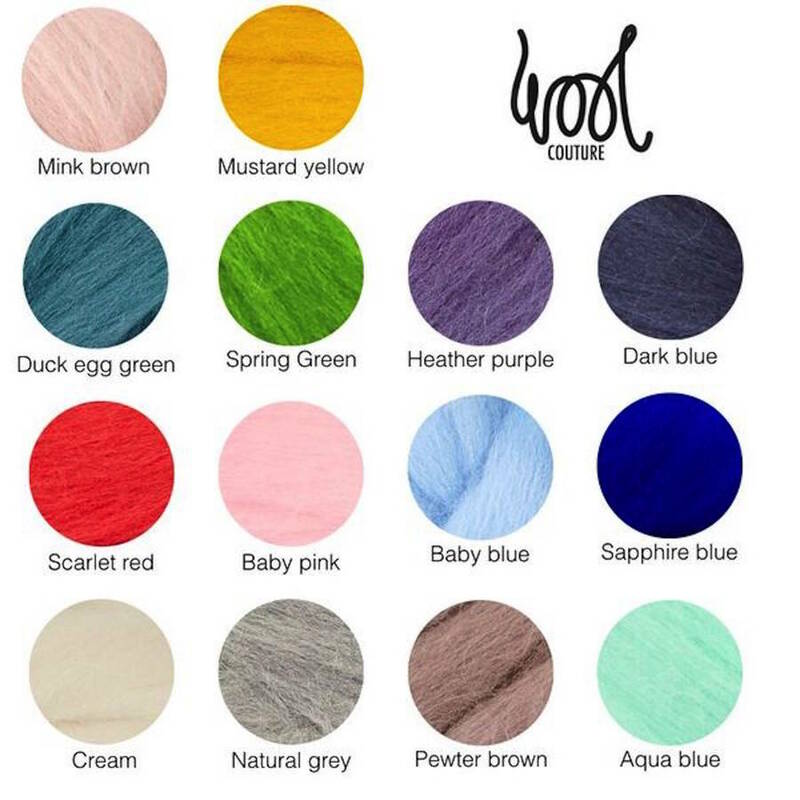 Mink Brown, Mustard Yellow, Duck Egg Green, Spring Green, Heather Purple, Dark Blue, Scarlet Red, Baby Pink, Baby Blue, Sapphire Blue, Cream, Natural Grey, Pewter Brown, Aqua Blue. 100% pure merino wool that is super soft and snuggly for your pooch. This is pure un-spun merino wool and may shed and pile a little. Spot cleaning is recommended. Dry clean if necessary. The knitted bed is roughly 60cm x 80cm.